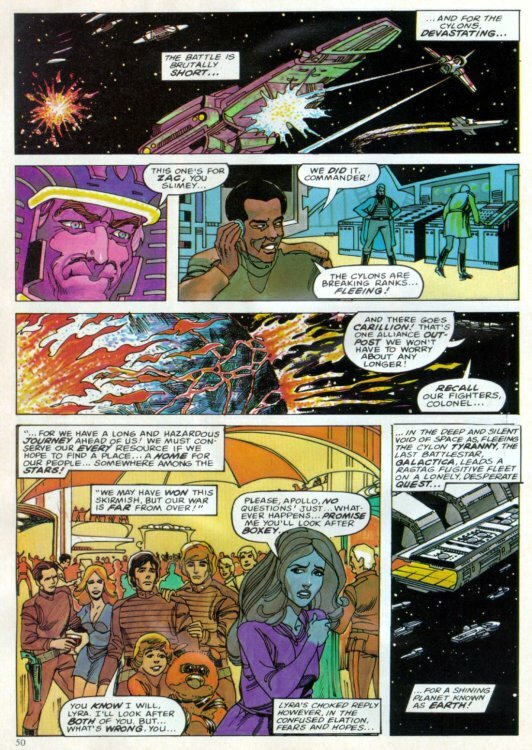 Betrayed by one of their own to the robotic alien Cylons*, the Twelve Colonies of Man are wiped out in a sneak attack. 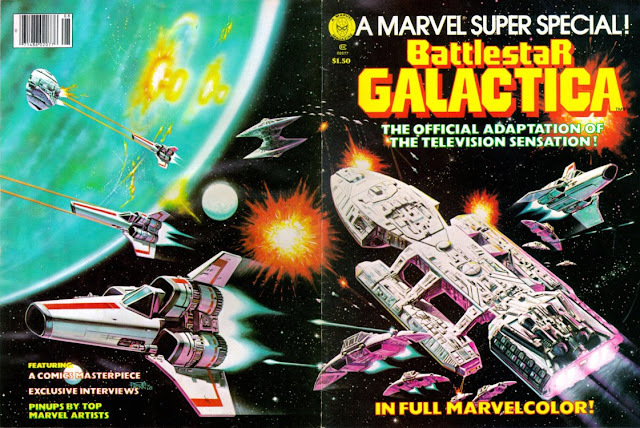 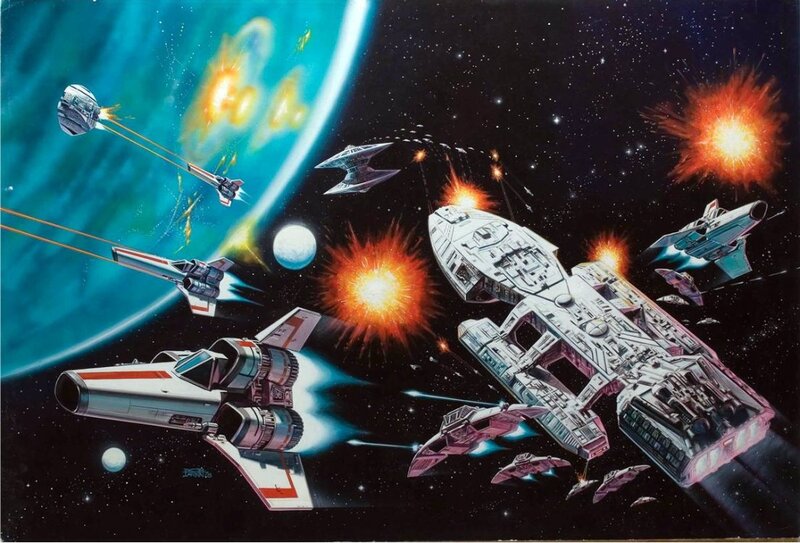 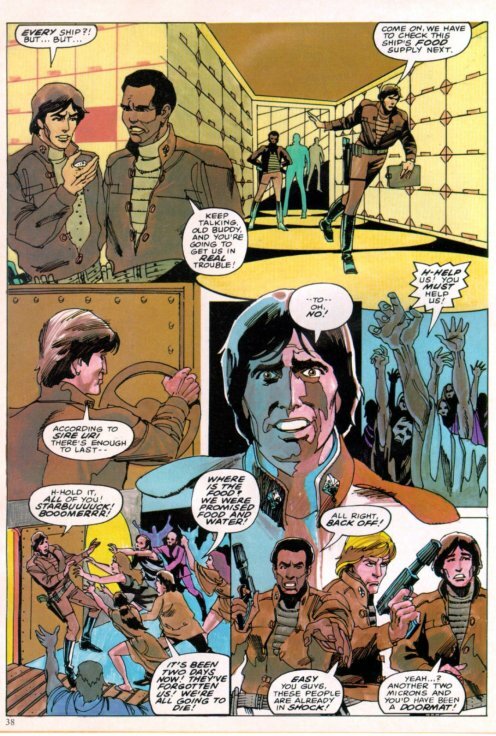 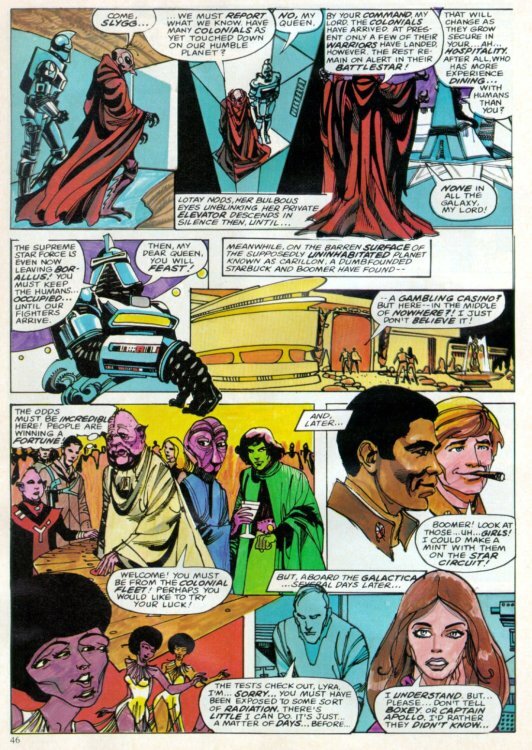 This second half of the movie version of Battlestar Galactica was presented by writer Roger McKenzie and artist/colorist/painter Ernie Colon. 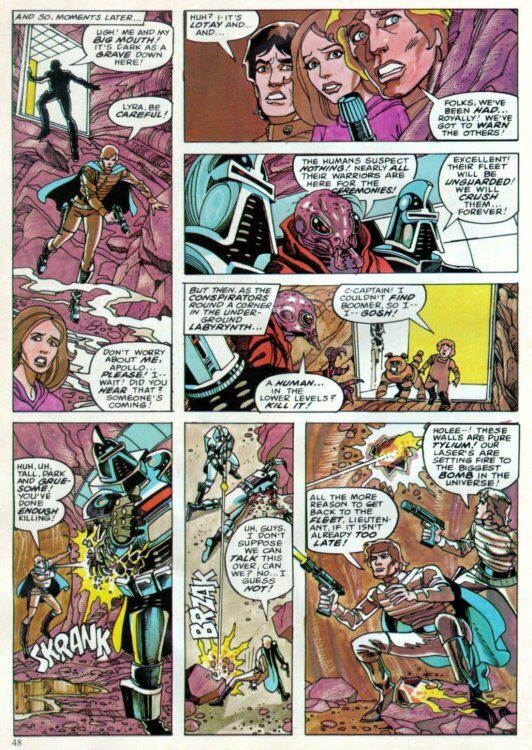 Because it was based on an early draft of the script, names (Serina is called Lyra) are different, and some characters who live in both the movie and tv series (including Cassiopeia) die! 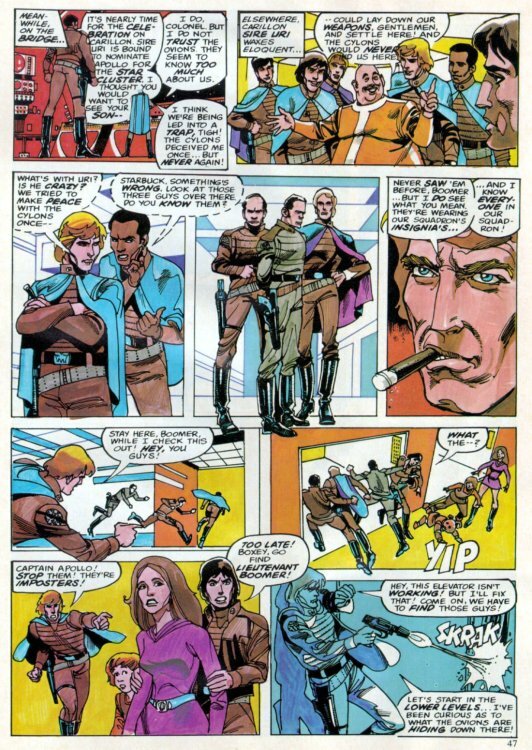 This first version of Marvel Super Special #8 (1978) was a full-process color, slick-stock magazine. 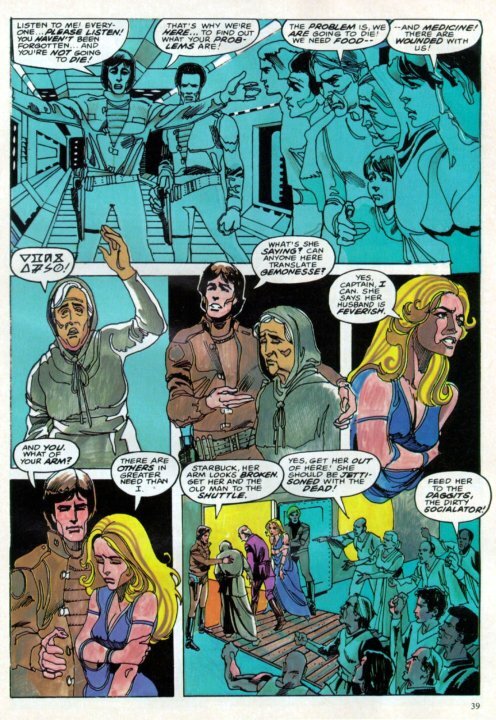 However, because the editor didn't get approval from Universal Studios on the final art before it went to press, the vast majority of the copies were ordered pulped! 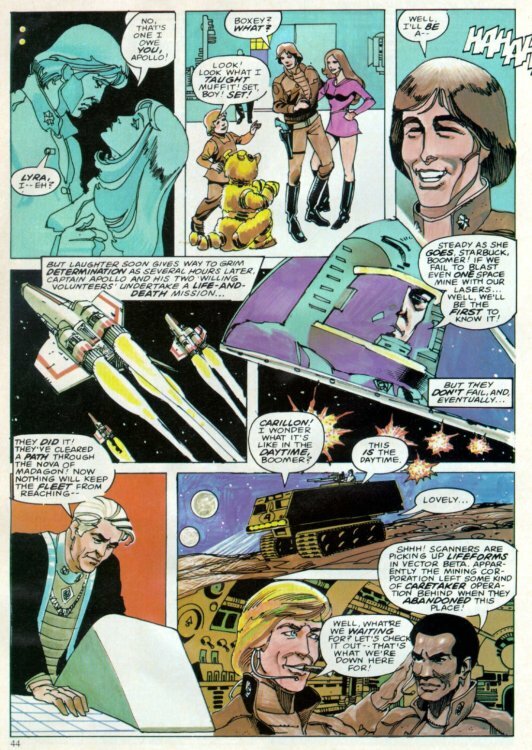 Changes in both script and art were made, and the book was reissued as an oversized Treasury edition, with standard comic book "flat" coloring and a new pen-and-ink cover based on the Bob Larkin cover painting! 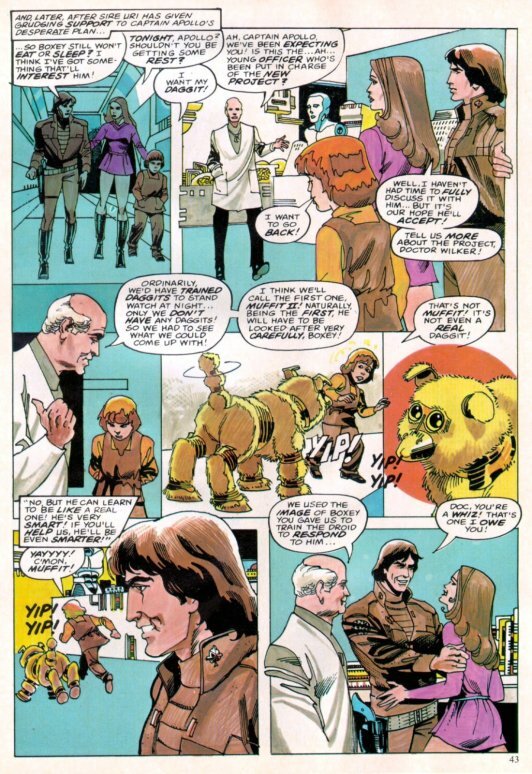 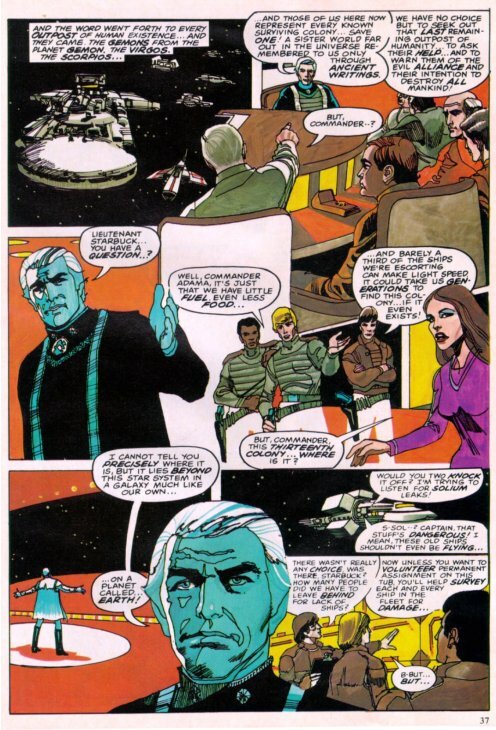 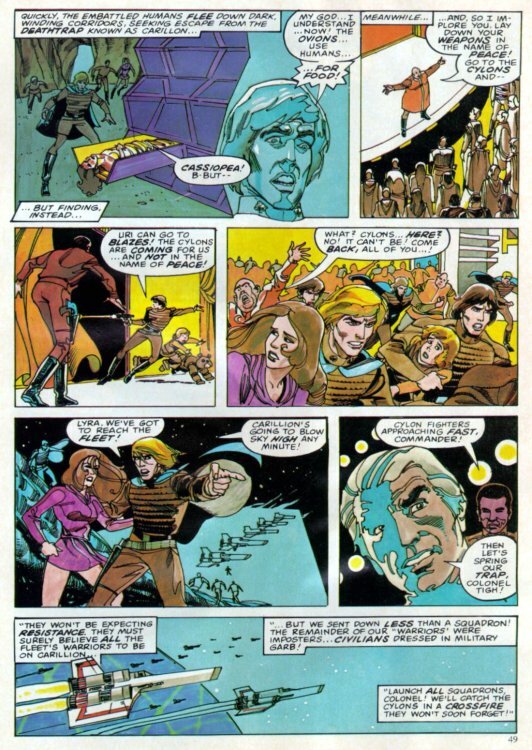 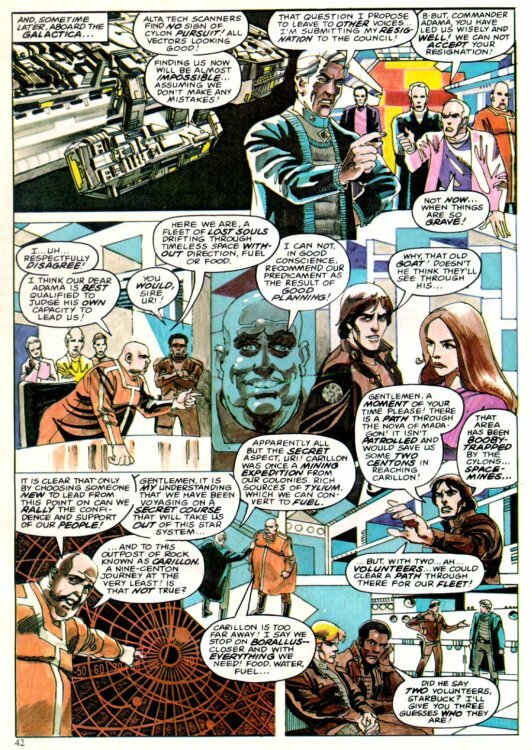 The story was modified again when it was expanded to fill the first three issues of the ongoing Battlestar Galactica comic book...including keeping both Baltar and Cassie alive! 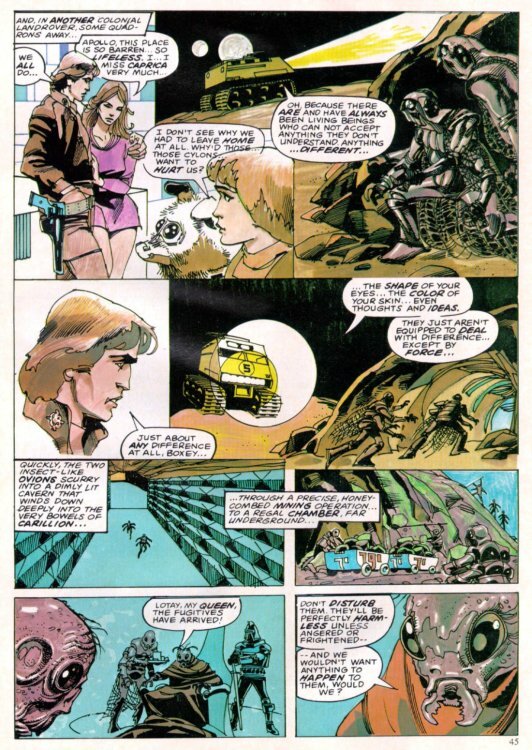 *Though the Cylons' Imperious Leader appears reptilian, he is as much a robot as the others, though based on the image of the humanoid lizards who created the robots! 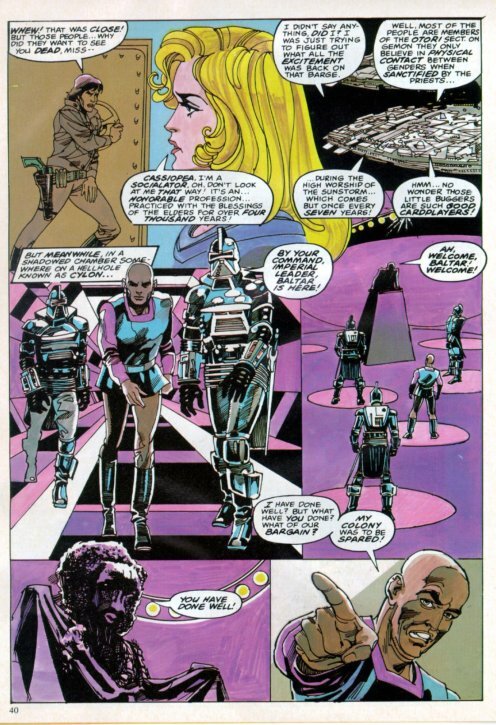 While never stated specifically, it's implied the robots overthrew and eliminated their masters, whom they deemed "imperfect".